Sometimes you just need to deep clean your skin, and there’s no better way to do it than with 100% Pure Facial Scrubs. Each all-natural, organic formula penetrates the skin, removing dirt, debris, and oil from the surface of the skin to deep within the pores for another level of clean. Featuring microscopic beads to polish away dead skin cells and other impurities from the surface of the skin, 100% Pure Facial scrubs stimulate the skin’s natural renewal process, providing long term anti-aging benefits and a more youthful look to the skin now. 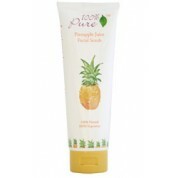 If you suffer from pigmentation issues, then 100% Pure Brightening Scrub & Mask is perfect for you. The powerful cleanser livens dull skin and lifts away dark spots associated with aging for a more even, vibrant complexion. Packed with soothing ingredients to nourish the skin while it improves pigmentation, it’s provides amazing long-term brightening results. If you like a berry scent, 100% Pure Berry Brightening Facial Scrub is also an amazing option. 100% Pure Scrub & Mask is a dual function product that can be used as an exfoliating scrub or mask to penetrate the skin and clear it from all dirt, debris, and impurities. Working to condition the skin while purifying its surface, these facial treatments infuse the skin with protective antioxidants and rejuvenating nutrients while purifying it deep down into the pores. Exfoliation is an important part of any skin care routine. While it’s not needed as frequently as cleansing, it’s regeneration abilities for the skin provide anti-aging benefits and a fresh, smooth complexion that is healthy and vibrant. Use 100% Pure Facial Scrubs at least 2-3 times per week (as tolerated) for a smooth, healthy complexion with a youthful luster and vibrant tone. Try 100% Pure Facial Scrubs today. 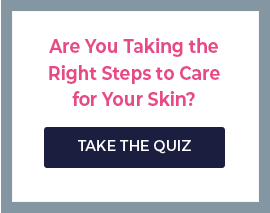 Your skin will look and feel better after just one use.